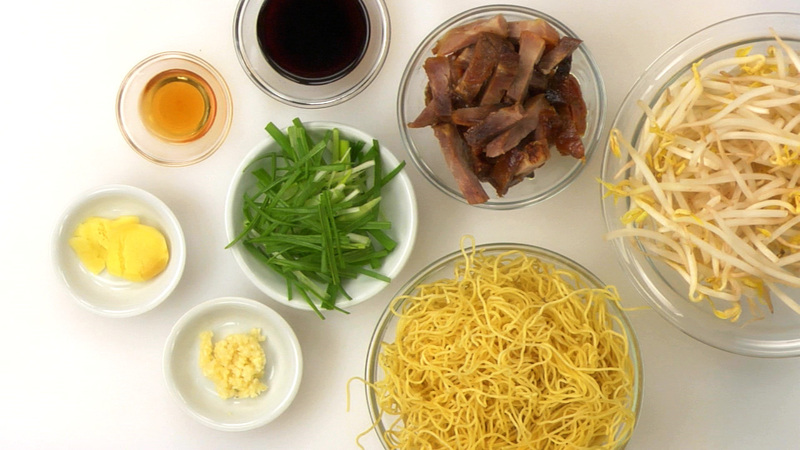 To prepare your mise en place, first prepare the sauce by combining the soy sauce, oyster sauce and salt in a bowl. Set aside. Next, smash the ginger slices with your knife and mince the garlic. Slice the green onions in half vertically and then into 2" -inch pieces. Wash and spin dry the bean sprouts. Measure out the Shao Hsing rice wine into a small container. Cut the pork into matchstick pieces and set everything aside. 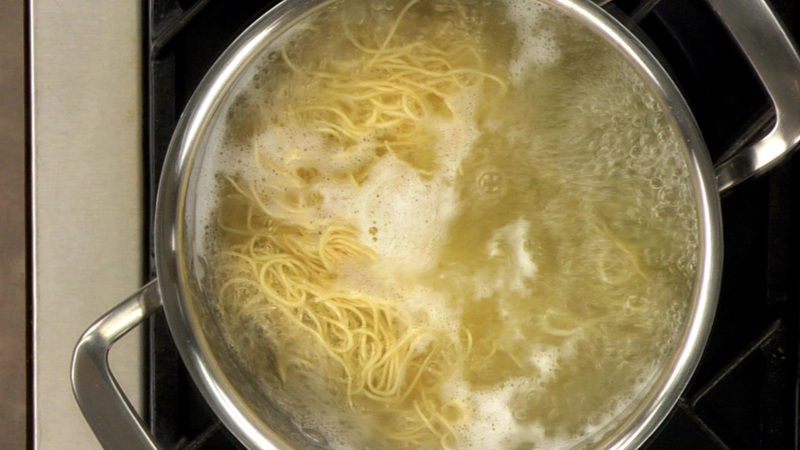 To cook the noodles, bring a large pot of water to a boil. Add the noodles. Once boiling, cook for approximately 3 minutes (or according to the directions on the package) or until the noodles are almost entirely cooked through. Once done, drain the noodles into a colander and rinse with cold water. Drain well to remove the excess water. Place the oil into the pot and add the noodles. Toss to coat with the oil. To stir-fry the dish, line the ingredients up in the proper cooking order. Heat a wok over high heat. Once hot, add the oil, followed by the ginger, garlic and pork. Stir-fry for a minute or so to heat the pork through, being careful not to burn the aromatics. Next, add the bean sprouts and Shao Hsing rice wine. 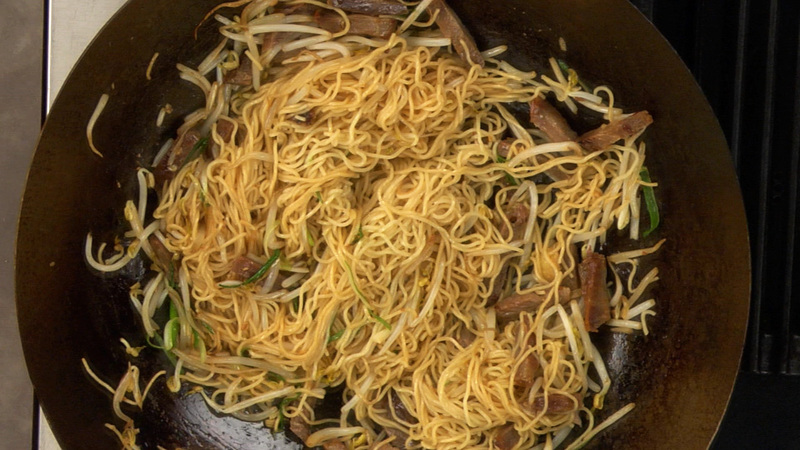 Toss and stir-fry for about 30 seconds or until the bean sprouts just begin to soften. Add the sauce, noodles and green onions. Stir-fry for another 1 to 2 minutes until the noodles and ingredients are completely heated through and evenly coated with the sauce. Serve immediately. Hi. This sounds like a great recipe, and I'd love to try it, but I couldn't find the recipe for Chinese barbequed pork. Sorry, for this particular recipe we did not make the BBQ pork. You can purchase it from some Asian markets that have these sorts of delis (as we do in Vancouver) or you can try to make it yourself by searching online for recipes. Cheers! I made a very plain (on purpose) pulled pork. I'm assuming I can just make an asian bbq sauce and coat the pulled pork with it, put it in the oven to caramelize a bit and use this in the chow mein? I know it won't be completely authentic but I refuse to go shopping for non essentials when I have food in the freezer to use up first. I also have chow mein noodles to use up, came across this recipe, and thought...Hmmm... What are your thoughts? Yes, you can make this in the oven as you mention. You can also finish the meat in a skillet, developing some browning. Are the noodles used in top ramen chow mein noodles? Can you talk a little more about chow mein noodles. Are they made from rice? 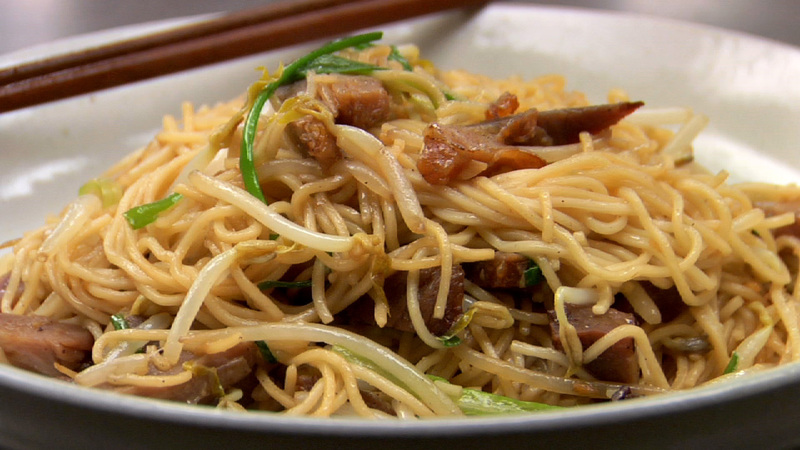 Chow mein noodles are wheat egg noodles, where as Top Ramen and other similar instant ramen noodles are typically not egg noodles. This recipe is a wee bit more complicated than I anticipated. When I really mean is there are a lot more "fancy pants" ingredients than I saw coming. Also, I have Lupus, and Sprouts are a big No-No. What do you recommend instead? Just one more thing - how important is that Oyster Sauce, and is there a substitute for it? Some of my people are allergic to Seafood. Yikes! This was an excellent recipe, might not add the salt since the soy gave it plenty for my taste but otherwise as good as a restaurant offering.